When making the printables for this I wanted them to be useful in as many ways as possible. I tried and abandoned many versions, because they seemed too limited. In the end I opted for very basic word circles in black and brown, thinking they offered the most flexibility. Look back to Wednesday to download the files. There is COLOUR and COLOR, and I use both Autumn and Fall. Just use what you like. The leaf shape is just one I like, the G from the dingbat Entypo. 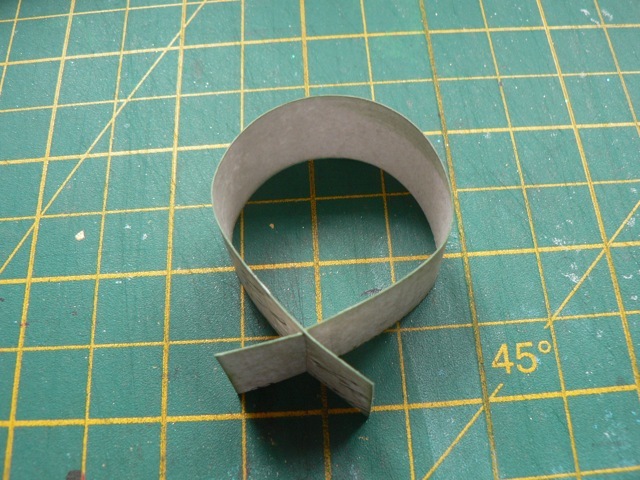 You could use leaf punches or dies just as well, but this one is really simple to hand cut! 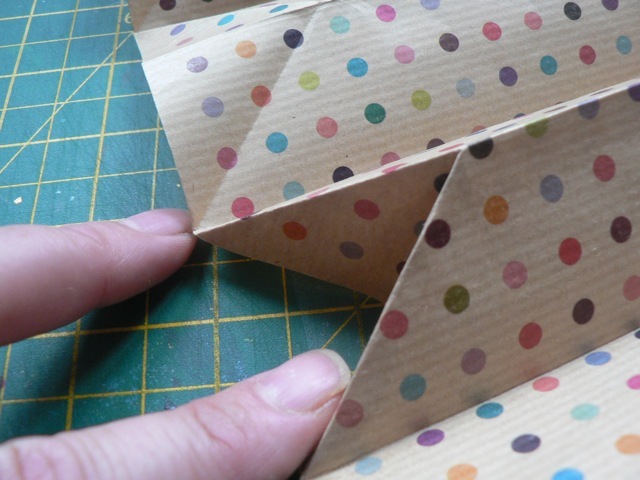 You can print them on patterned paper (lighter colours, not too busy or distinct a pattern) and punch with a 2 inch circle punch – or a scallop circle punch. 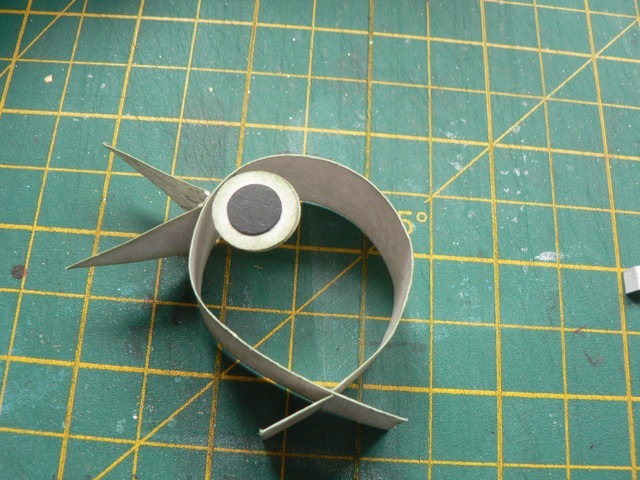 Or cut them with scalloped or spikey circle Nesties. 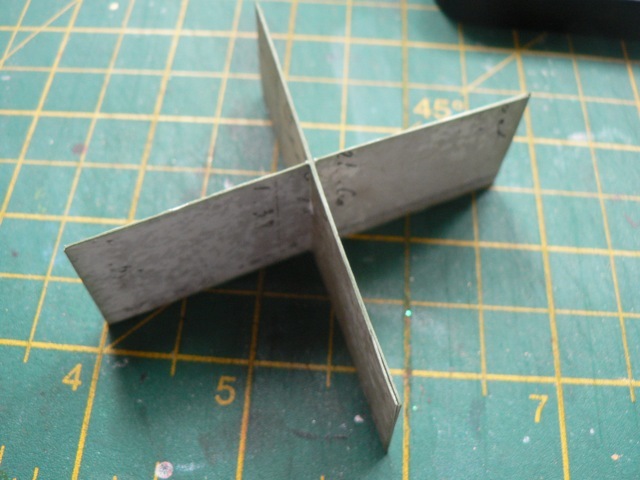 Cut them into a square or use a bracket Nestie. 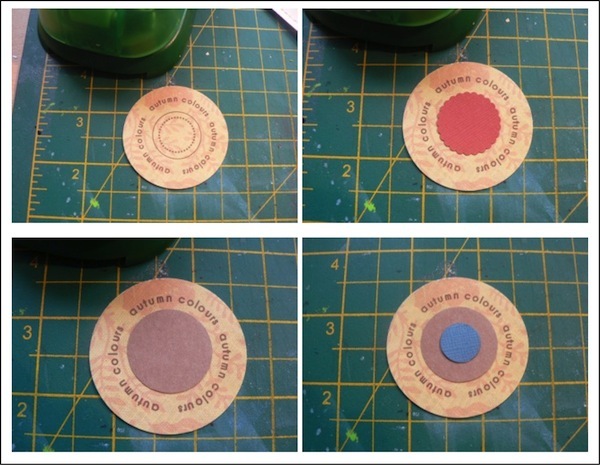 You can punch a 1 inch circle from patterned paper or coloured cardstock, a scallop punch or plain circle, to cover the middle. You can layer smaller circles, add brads or gems, really anything, to the middle. 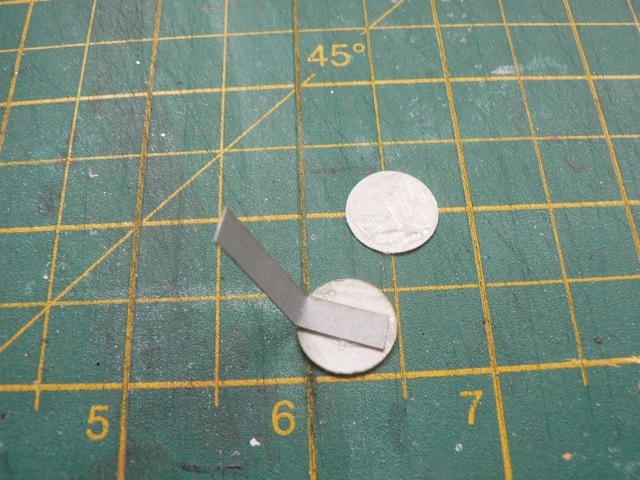 You could punch out the middle, leaving a thick ring, and use the punched out middle as another element. Just play around with them. 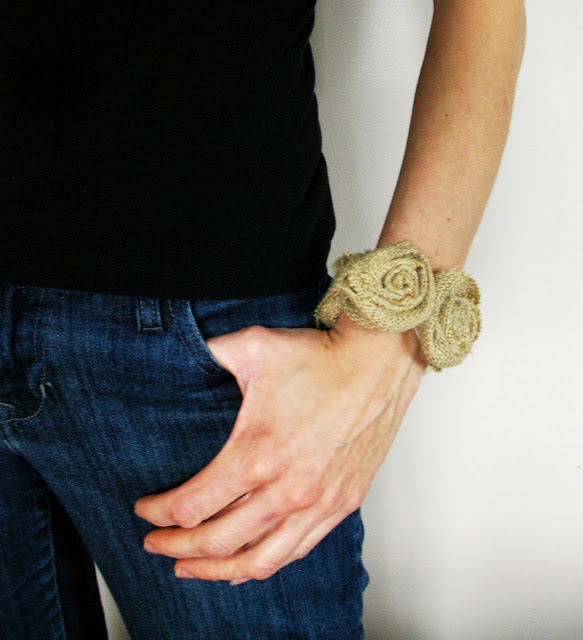 They are simple but I hope you can embellish them in enough ways to make them interesting! Here are some quotes that I found that I plan on using for mine. You should be able to copy and paste them into your word processing program and change the size, the font, the colour, whatever suits your project! The Chestnuts, Oaks, and Maples, and leaves of every name. 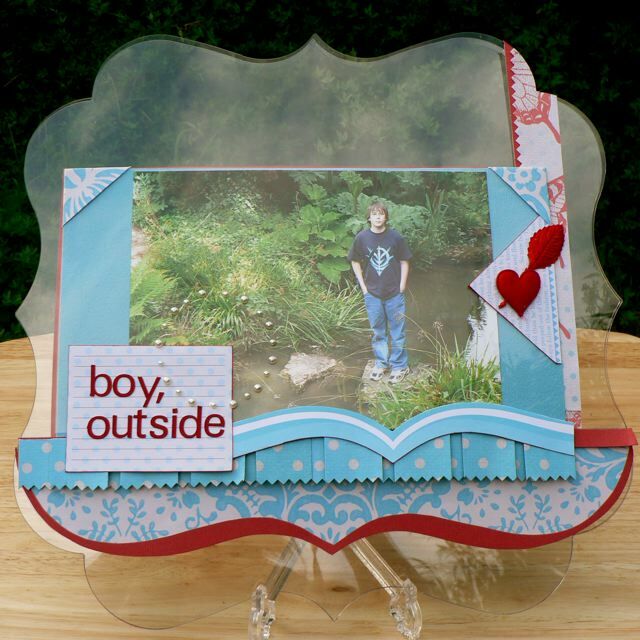 Categories: mini-albums, printables | Tags: mini-albums, printables, scrapbooking | Permalink. 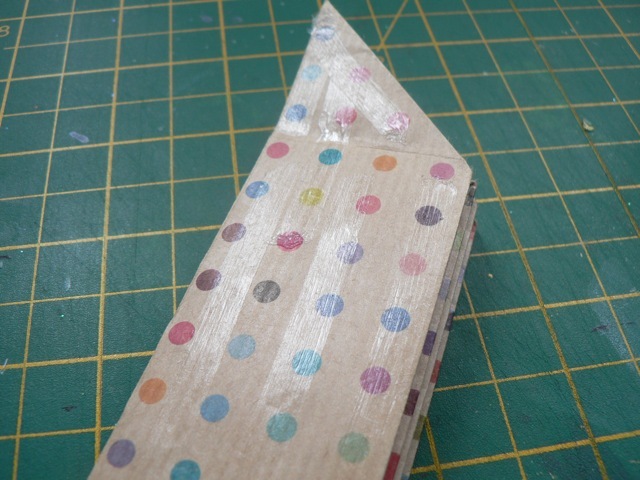 Stick the cover over the large rectangular area, then fold the 1/2 triangle down onto the cover. Open the cover to expose the first full section. Flip the triangle open, top and bottom. Slip the page in. 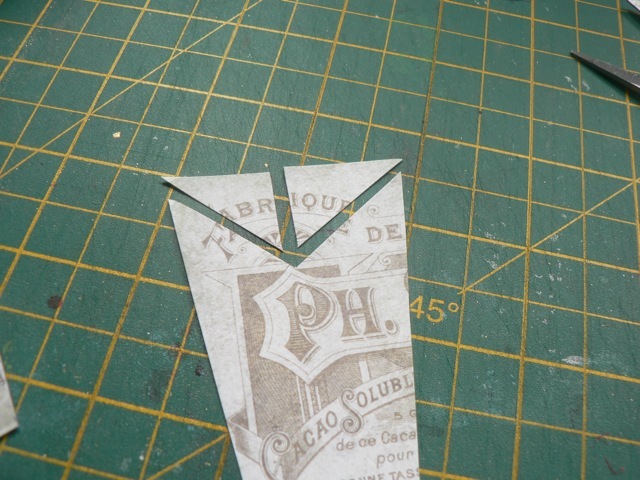 Make sure the centre of the triangle matches the centre crease in the page. 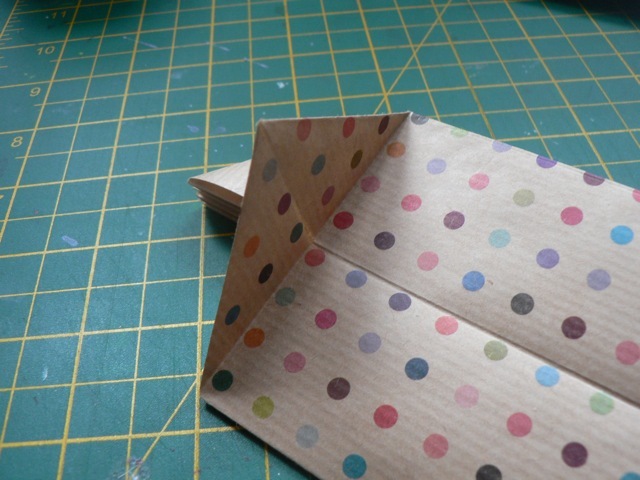 Fold the triangle down and stick it to the page. 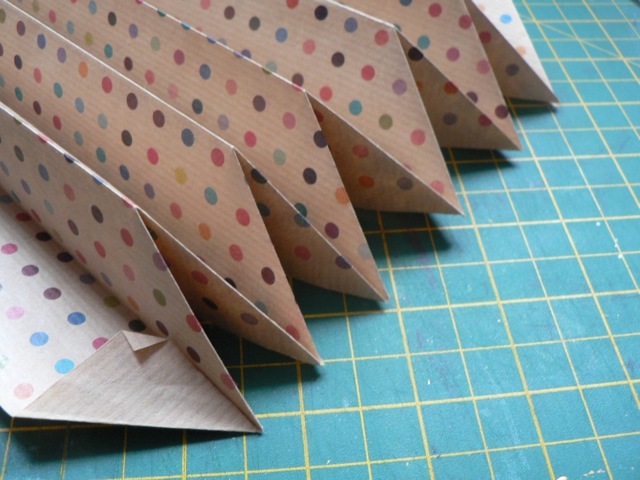 NOTE: You can add adhesive inside the triangles if you like, to make them more of a solid unit. 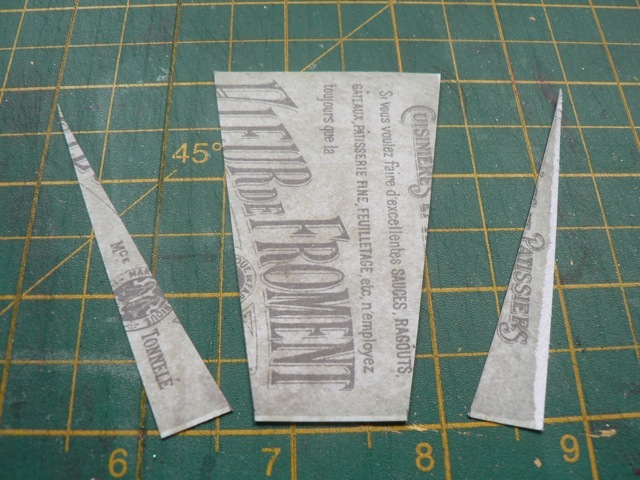 Likewise, if you thing you will want to be able to slip things UNDER the edges of the triangles when you add your decorations, don’t add the adhesive to the TRIANGLES, just to the spine. 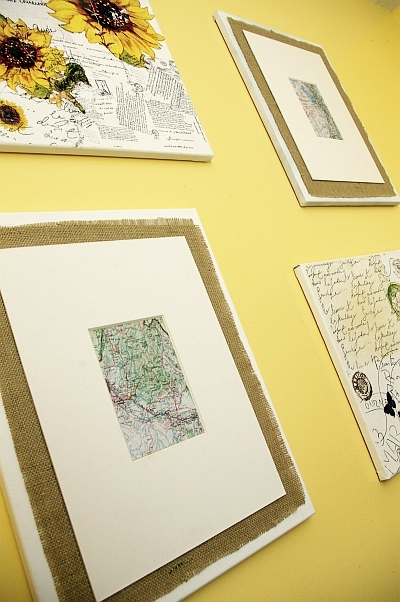 You can add it later after adding your photos, journaling blocks, etc. Continue adding your pages in the same way. 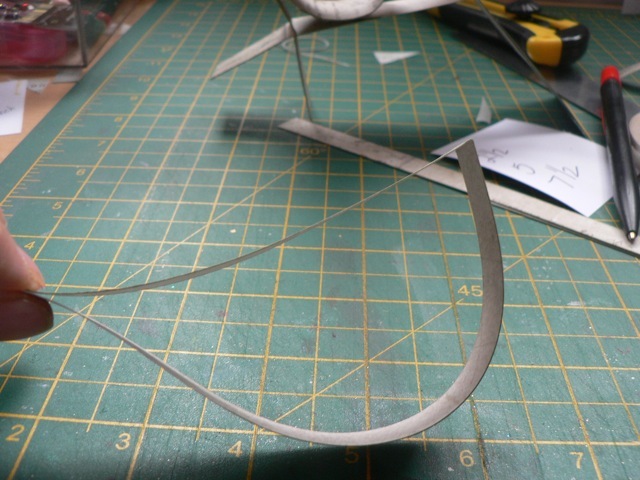 But take note of the curve-cut sides. 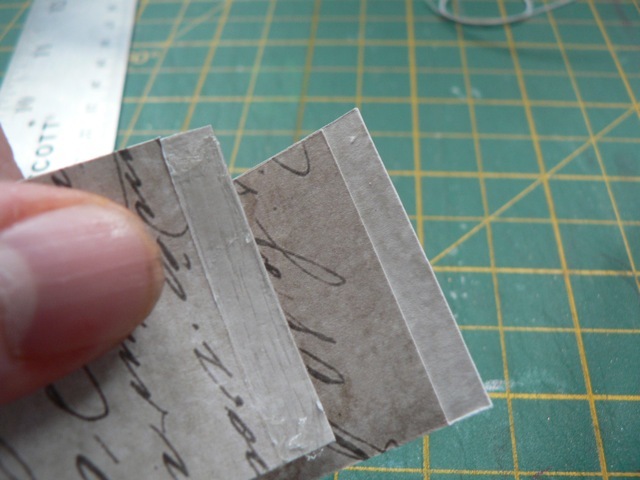 For these, add the adhesive to the edge near the spine, along the top and the bottom edges, and NOT to the curve – this will leave you a “pocket” to slip in additional photos or journaling blocks. 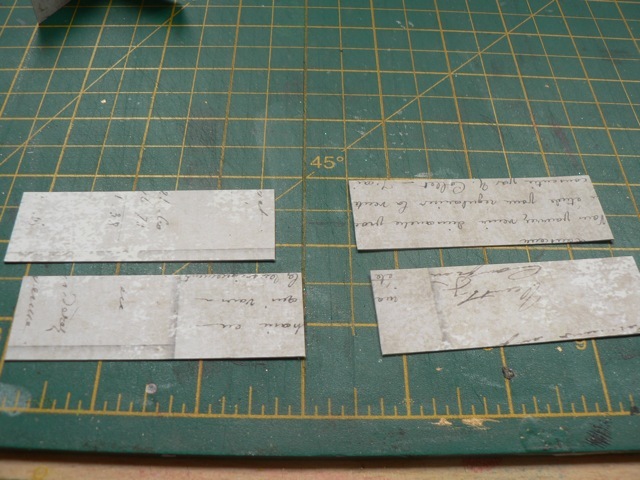 Alternate the full pages with the curve-cut ones. 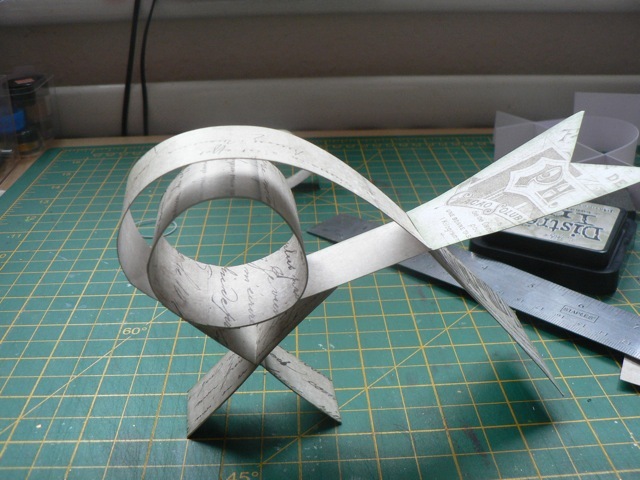 You could also match the curve-cut ones back-to-back, to give you a 1/2 page. When you are done, this is the view from the top! That is your book completed! 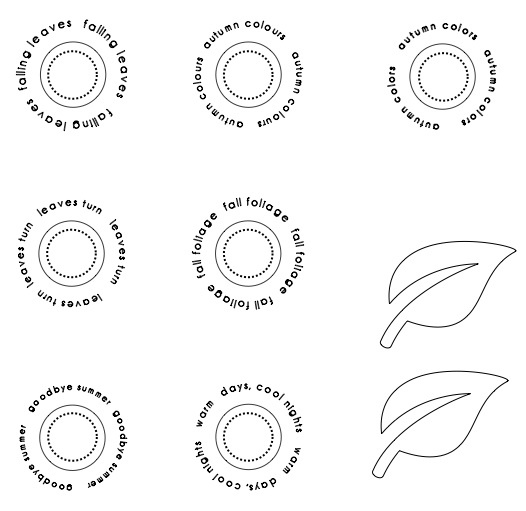 Tomorrow I will talk a bit about the simple printable circles and how you can make use of them! 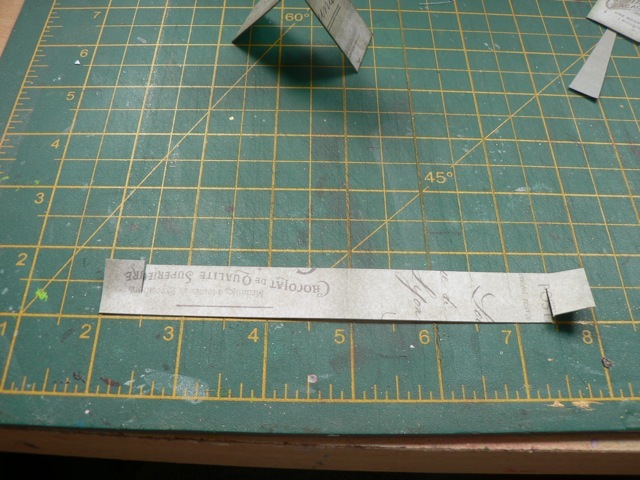 You’ll have to look back to yesterday to get the spine construction instructions, and follow on tomorrow for more! WOYWW folk, I’m in the car, taking DS back to Uni but will try to visit if I can. 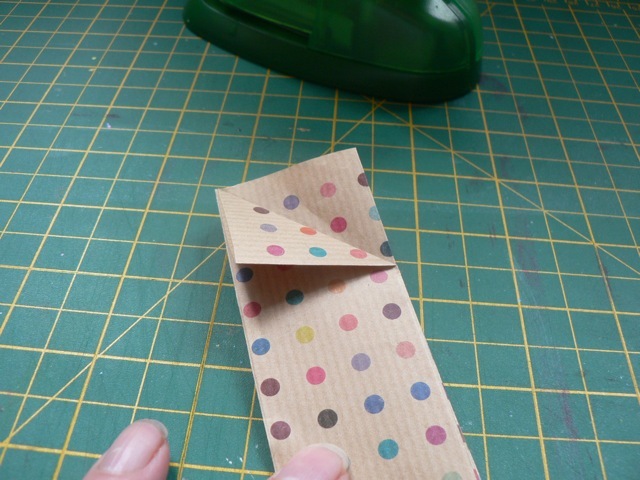 The mini will consist of 6 bi-fold sections. 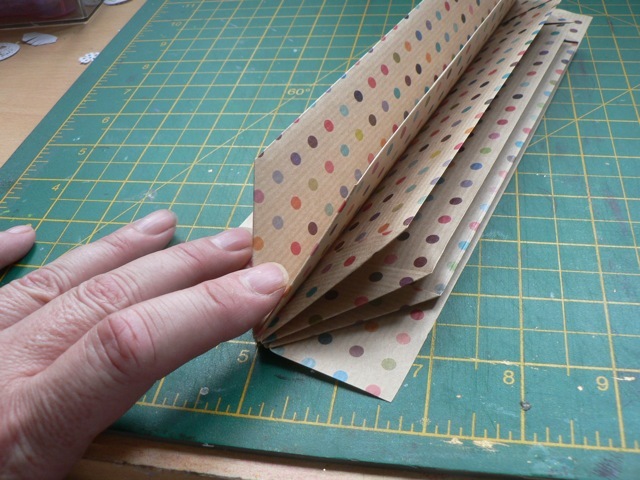 Collect a selection of cardstock that works with the wrapping paper spine. 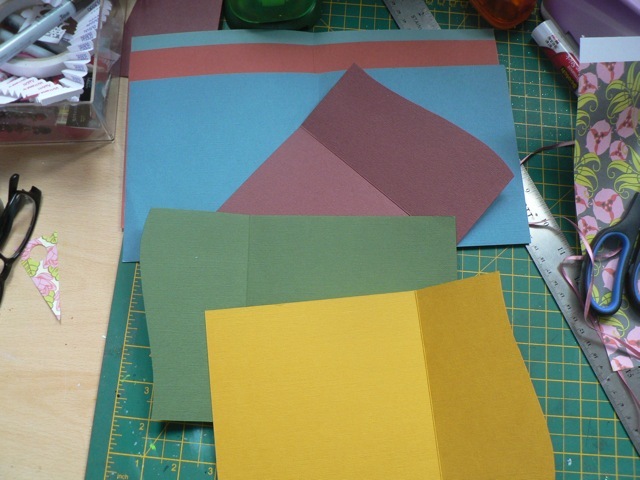 Cut each sheet into 6 x 12 inch rectangles and score and crease in half. 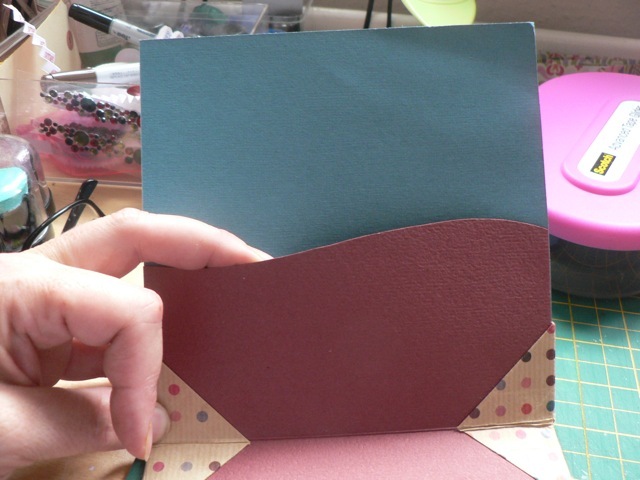 These will form your pages. 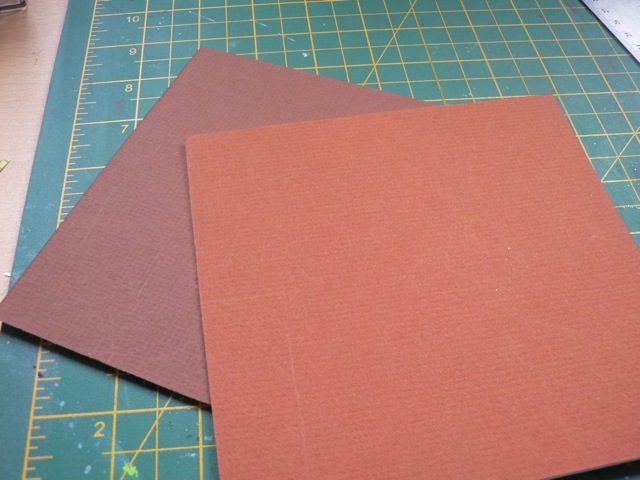 Cut two 6 x 6 pieces of matboard or cardboard for the covers. 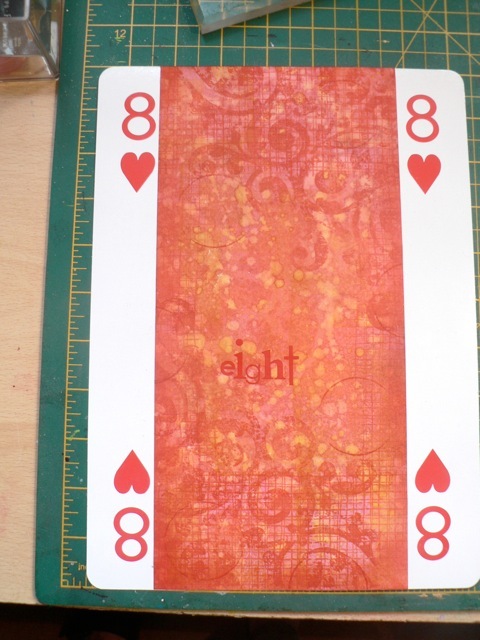 There are two versions of the printables, Black and Brown. 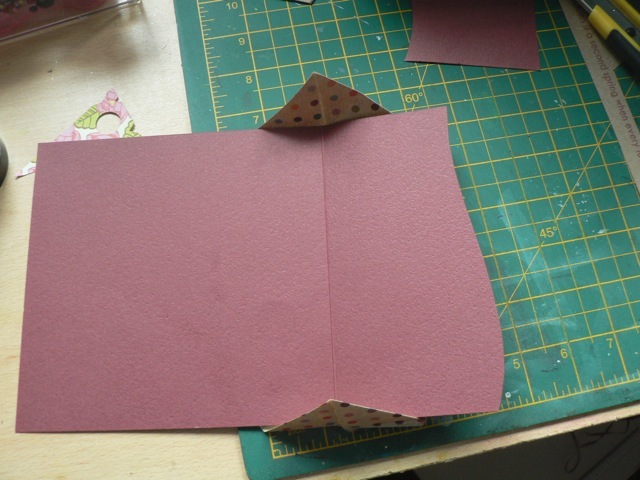 Either one will do for this step – cut out the curved rectangle and use it as a template to cut one side of THREE of the folded pages. 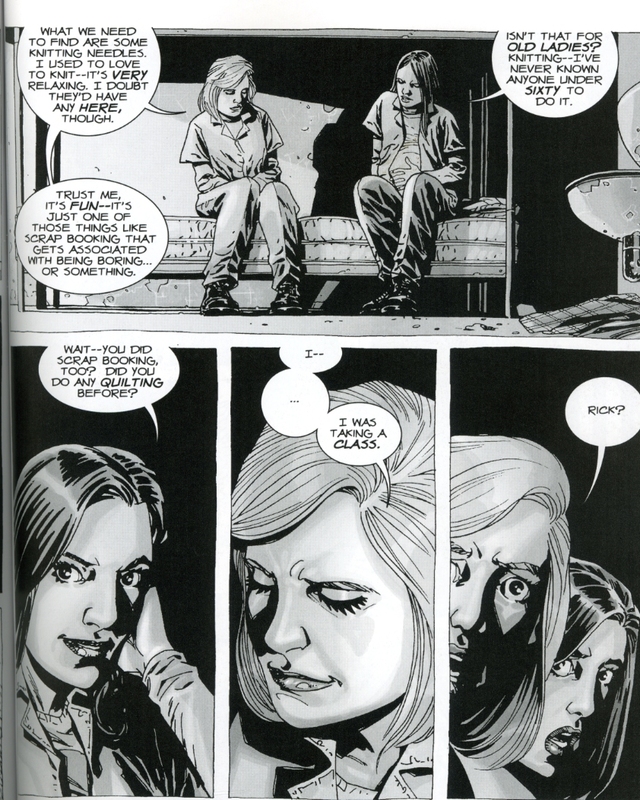 Leave the other three as full pages. You can reverse the template, so the curves alternate low to high, and cut left side or right side of the page sections. 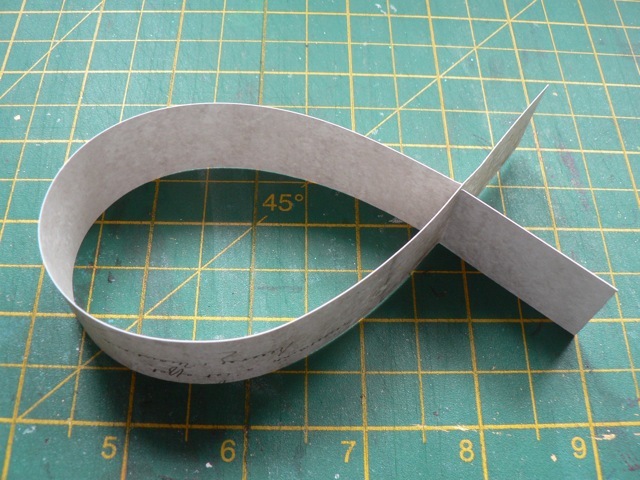 Save the curves you cut off – you will use them later, if you like! Tomorrow, we’ll put the book together! 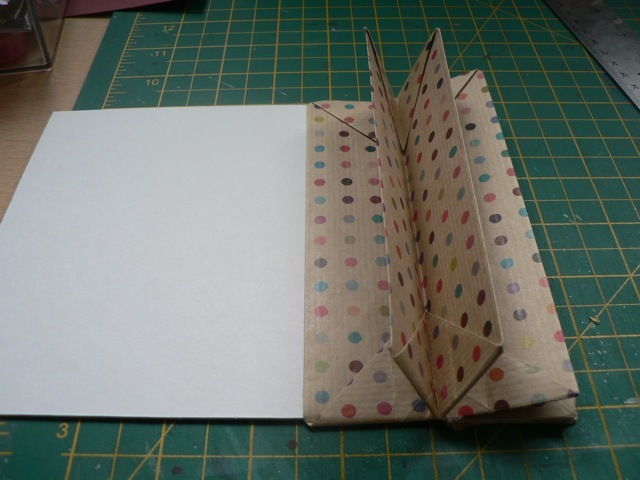 Categories: mini-albums, scrap related, WOYWW | Tags: Photoshop mini-albums, scrapbooking, WOYWW | Permalink. 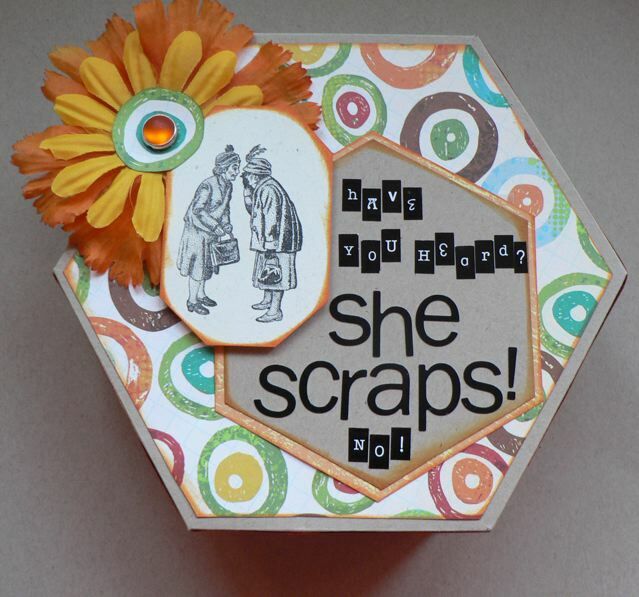 I’ll explain how this came about – I was checking out the mini-books on Making-mini-scrapbooks and found this interesting one here. 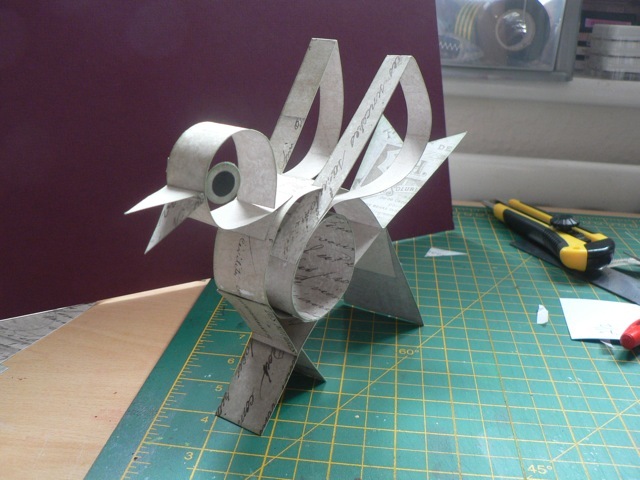 I liked the look of it and thought I might be able to make it bigger (the sample is only 3 1/4 x 5 inches!) 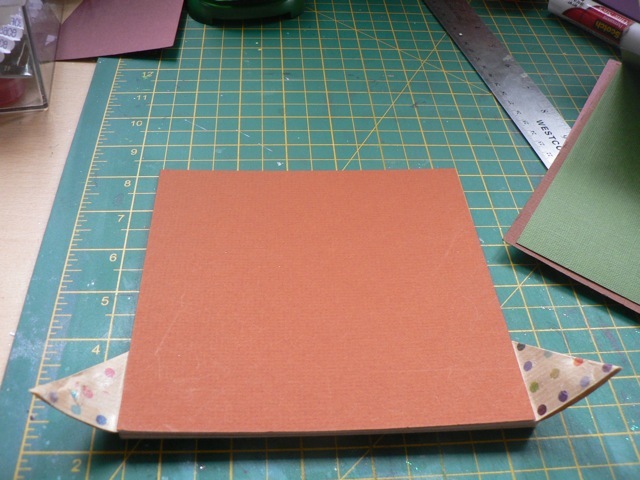 then rather than enclosing the cardstock pieces I could use the blizzard book base as a spine. 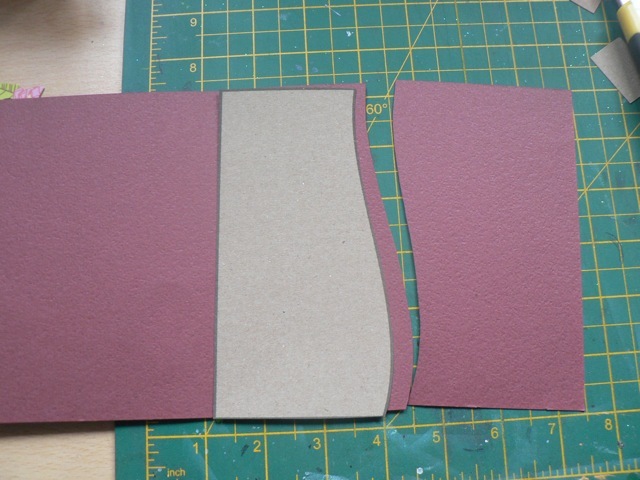 I was playing around with the folding and the first thing I tried was to make the accordion thinner, with more creases. 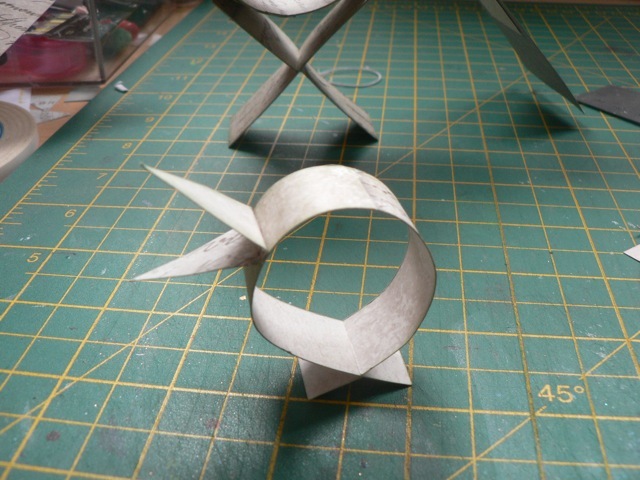 That meant that folding the triangles in did not make the top and bottom overlap. But it DID look like a usable spine, so I went with that. There are a lot of steps to this but they are repeated. Once you get in to the groove, it goes quickly. 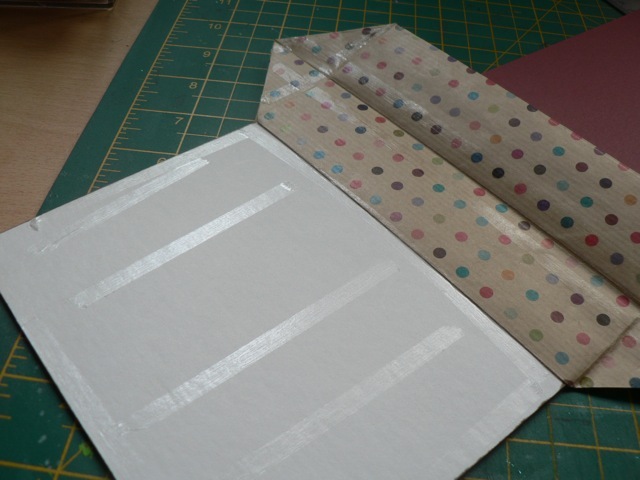 Cut a piece of nice, heavy wrapping paper to 19 1/2 x 9 inches – I used some from Paperchase, as it has a kraft colour base, which I like. Score all along the long side, every 1 1/2 inches. 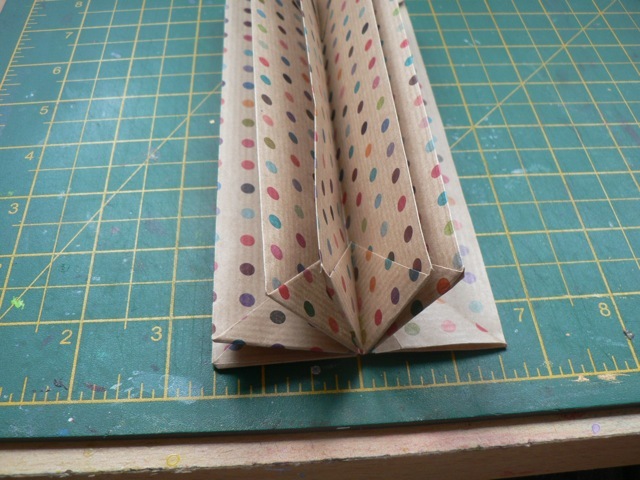 Accordion fold this. Crease well, and precisely. 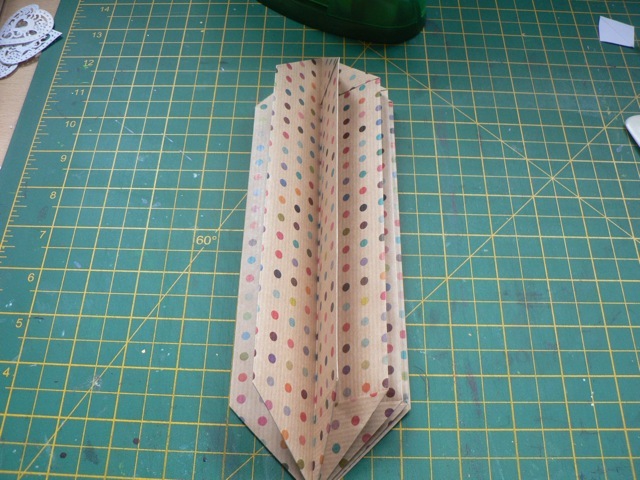 With the accordion folded, fold over the first section, forming a triangle as shown. Do this at the top and at the bottom edge. Do this for every section. Fold the last 1/2 triangle back. Can you see it below? This is what your accordion will look like! 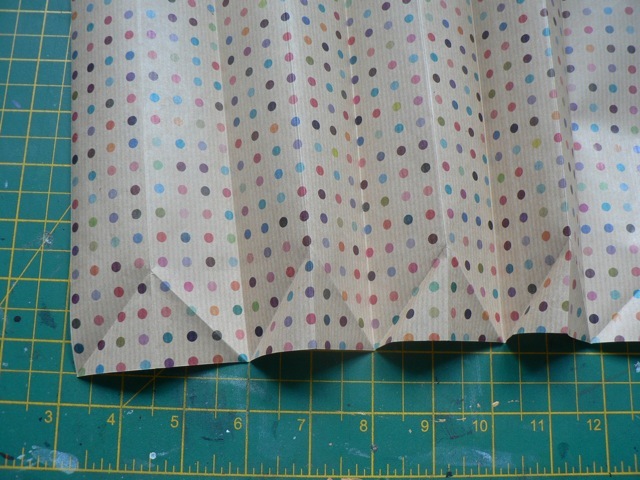 You are going to carefully REVERSE the pleats. Push each section inward as you can see here. And when you get done, this is how it will look! 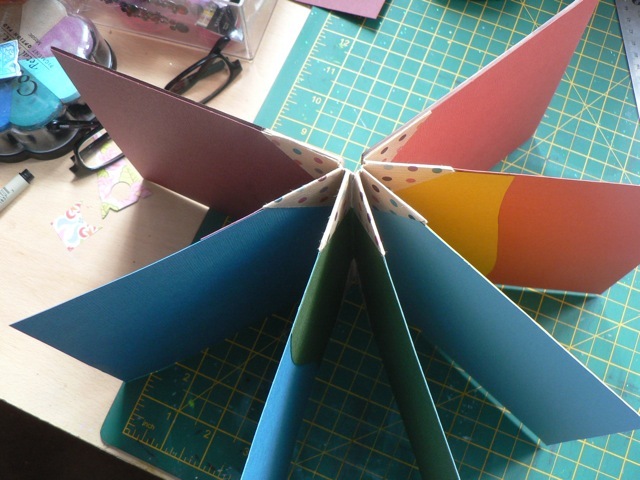 This is the spine of your book! 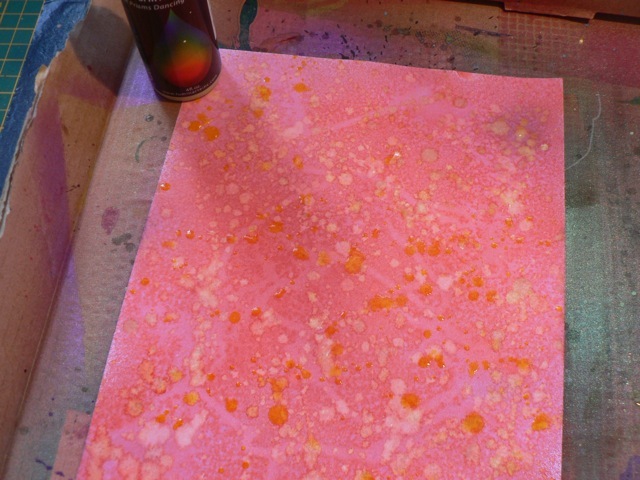 Not a new technique, splattering, but I was interested to see how things interacted. I started off with some of the new Cosmic Shimmer Acrylic mists. 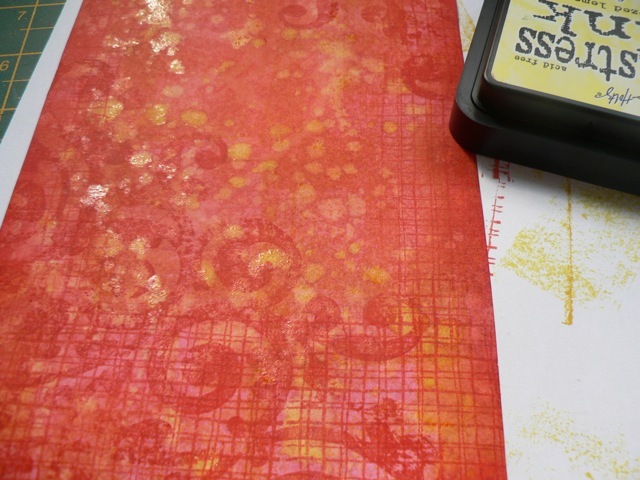 I got a couple of sets free when I renewed my subscription to Craft Stamper at Newbury and really hadn’t played with them at all. I didn’t know if they would react the same way ink sprays did. 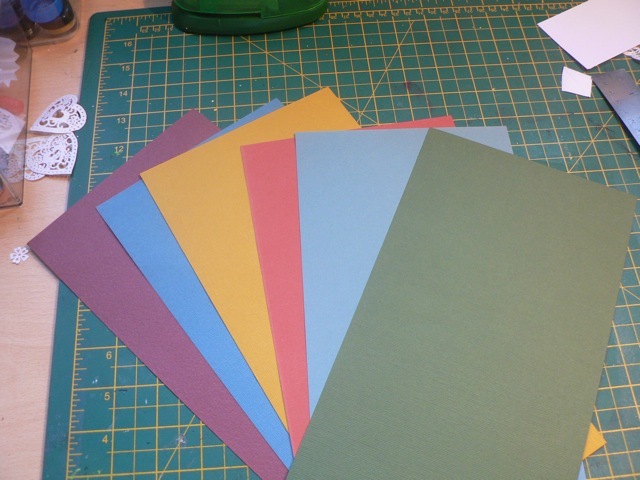 They do, more of less – good coverage, nice colours, and it’s interesting the way they dry. I’m not sure if you can see it here, but after misting heavily, I did the tilt-to-run thing. Those areas, when blotted, gave a spider-web like effect. 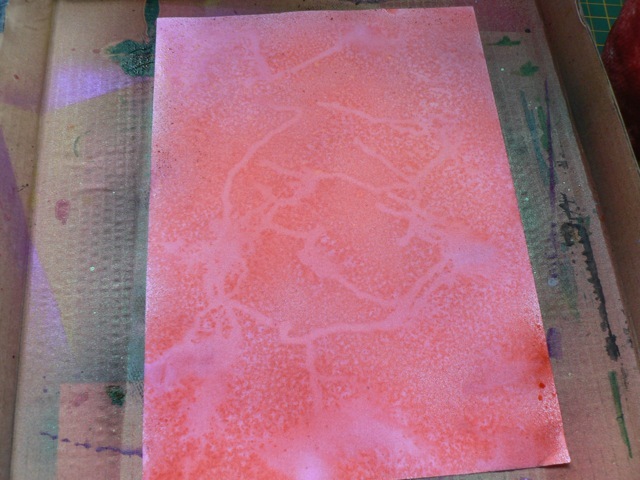 Like the top layer of ink lifted the bottom layer. I quite like that! 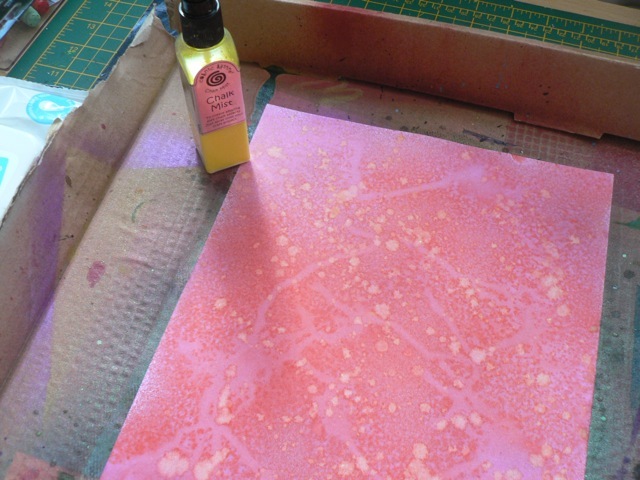 Then, I tried misting over some yellow chalk ink. Of course the nozzle was clogged so I took it out and spattered it on instead. That actually worked better, and oddly, the chalk mist ALSO removed colour, almost like it was bleach. The yellow was very pale, so I added some Radiant Rain in a bright yellow, but did NOT shake up the bottle so I got only the colour and not the shimmer! The trick with that was NOT to blot it, but to let it dry naturally, leaving the colour more intense. 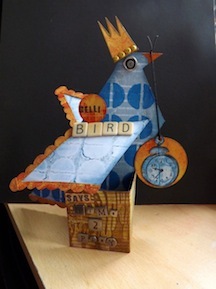 From then on it was a little stamping – I used a burlap background from Visible Image and a big ironwork stamp from I-don’t-know-who. Fancy Pants maybe? I pressed on some Distress ink, just to make the yellow pop even more. I added some rub on letters – I just never seem to use rub-one, yet I have a ton of them, so a great way to use them up) and few bottle-cap stamped circles and done. It’s not very innovative but I like the end result. 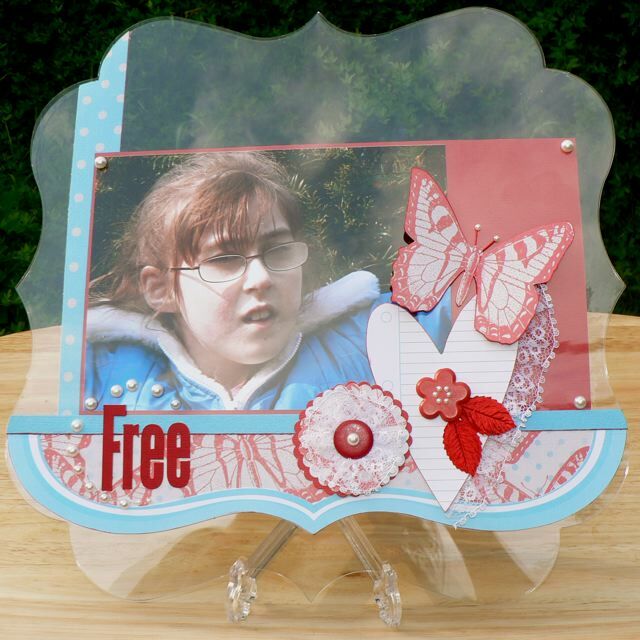 Brassy Apple is a pretty cool blog, with LOADS of tutorials on all kinds of things, from Fashion to kids activities, decorating, crafts, Christmas…it just goes on and on. 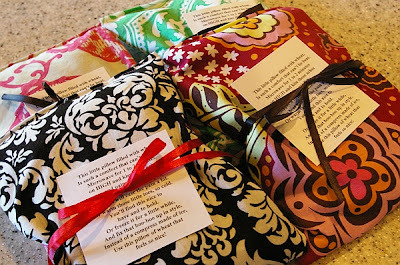 And I know I could make use of the Hot/Cold therapy sacks! Beats the heck out of a bag of frozen peas! 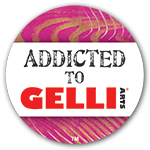 Check it out – you probably find something to appeal! We are on the road, so I had a hunt on my hard disk for something to fill the gap left by my absence from my desk . This one is quite old, from the first class I taught at a GoGo Getaway in 2008! I always liked the project and never shared it, so now seems as good a time as any. From what I recall I got sent the clear shape and the embellishment packs as the things to work with. And as usual, I started thinking of the properties of the supplies, the background in particular, and what made it different to a normal background. Well, it’s clear – DUH! When I considered that, the whole double-sided idea kept creeping up in my mind. And in planning the class, I always struggle with the whole boy/girl/generic dilemma, aiming for something the most people will be happy to put in their albums. This is what I ended up with – I did a BOY side and a GIRL side. Given the clear background, the critical thing is making sure that everything lined up so you only saw what you wanted to see as you view each side, and that all the adhesive is hidden. I found the original PDF as well but the darn thing is 39 mb! Monstrous. I had a nifty little freebie program called PDF Lab that allowed all sorts of PDF manipulation – under the OLD OS, but it doesn’t work under the new one. Poo. So of course I had to Google and found this handy post. Took seconds and worked like a charm! It took the nearly 40 mb PDF and reduced it to just over 2 mb and there is not a huge loss of quality. Woo Hoo! …and that means I can share it. 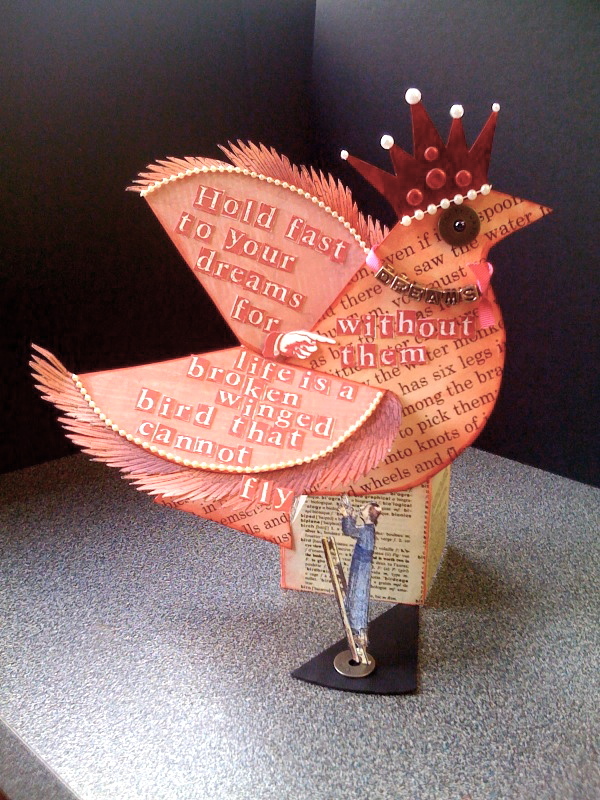 I am scrambling like mad trying to get sorted for our trip, but I do have this little birdie on my desk today. 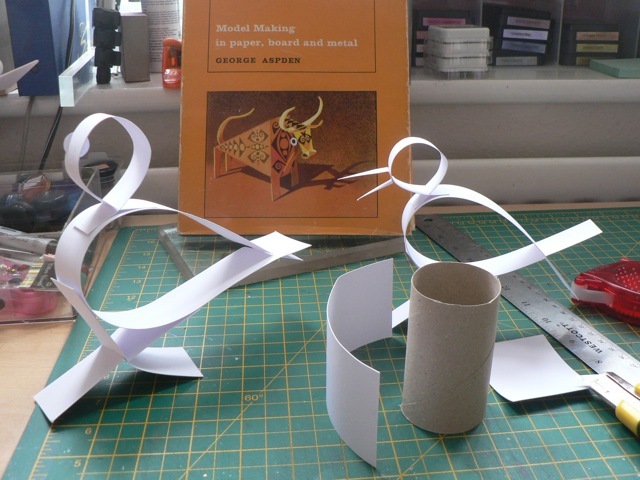 Still working from the book, which you can see in the background. WORKING is accurate. 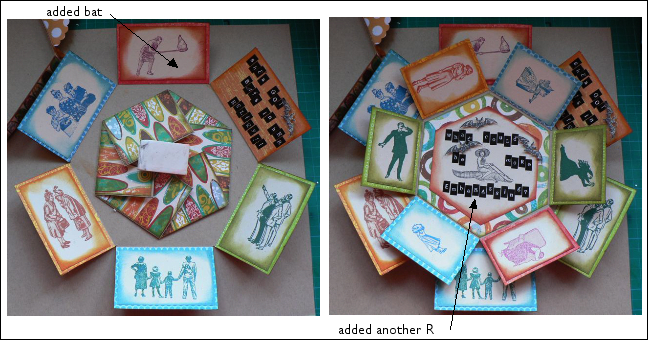 I love the projects, but the author really wants you to WORK to make them, and the instructions are nowhere near as easy to understand, and the diagrams nowhere near as detailed or complete as in One Piece of Card! My last pre-scheduled post, tomorrow, will hopefully show how to make one. But if I get bogged down with cleaning, packing, and last-minute shopping for DS it may have to wait till I get back. I have a fun little mini-book project scheduled next week, while we are away, and will be back to live blogging at the end of the week. I have to apologize. My new broadband has been turned on but the router needs configuring and my existing connection is cr*p. I am trying to visit as many as I can but commenting is giving me nothing but trouble. Next month it’s all going to get A LOT better. It better, or HEADS WILL ROLL! Just a bit of fun …. If you are visiting me from UKScrappers, this will be nothing new, I shared it there already.